Limit 1 per person. Valid on piano accompaniment at a wedding. By appointment only. Promotional value expires 365 days after purchase. Advertising solicitation prohibited. Set the perfect mood for your big day with this deal for 50% off piano accompaniment for your wedding by Alex Poyner, available within 25 miles of Kenosha ($150 value). 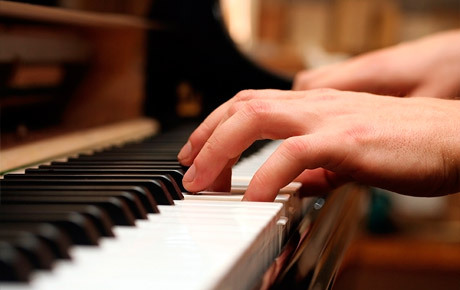 Alex will play piano for up to three hours, and he has ample experience to play any style to fit your occasion. Alex has been playing the piano for seven years and has dabbled in other musical instruments growing up. His talent was recognized when he was honored the John Philip Sousa Band Award in 2010. With his experience in playing at various venues, Alex has grasped the ability to play a variety of music, “from Bach to rock." Tune in to this musical offer.